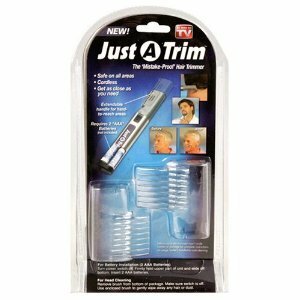 Just A Trim is the mistake-proof, do-it-yourself trimmer that’s perfect for keeping hair neatly groomed between haircuts. 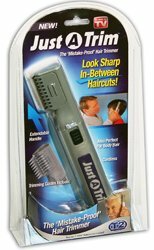 Great for Moms and Dads who cut their kids’ hair or the guy who wants to keep his hair looking sharp. 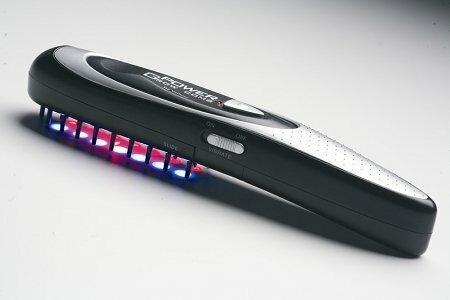 Better than ordinary hair clippers because it is compact, cordless and it’s cutting edge is on the side so trimming hair is as easy as combing your hair! 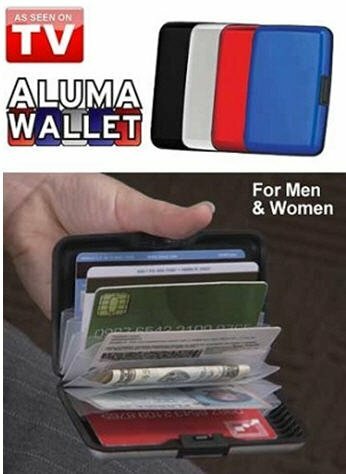 Package includes 2 x Attachable Trimming Guides/Guards Trimmer requires 2 x AAA Batteries (not included). 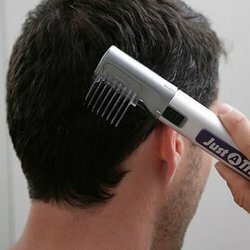 Feature:Extendable handle, trimming guides included, also perfect for body hair, cordless.